NEWEST addition to the Polar FROST (+) family. 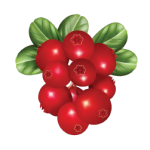 PolarFROSt Nordic Berry is designed to satisfy your cravings for something flavorful without killing you with calories. And yes, that extra boost of caffeine and green tea extract helps you do you better. INGREDIENTS: CARBONATED WATER, APPLE JUICE CONCENTRATE, NATURAL FLAVOR, CITRIC ACID, POTASSIUM BENZOATE AND POTASSIUM SORBATE (PRESERVATIVES), GREEN TEA, SUCRALOSE, CAFFEINE, ACESULFAME POTASSIUM, RED 40, CALCIUM DISODIUM EDTA (TO PROTECT FLAVOR), NIACINAMIDE (VITAMIN B3), D-CALCIUM PANTOTHENATE (VITAMIN B5), PYRIDOXINE HYDROCHLORIDE (VITAMIN B6), BIOTIN, CHOLECALCIFEROL (VITAMIN D3), CYANOCOBALAMIN (VITAMIN B12).